Pine Rivers February 2014 - Evergreen Tracking Dog Club Inc. 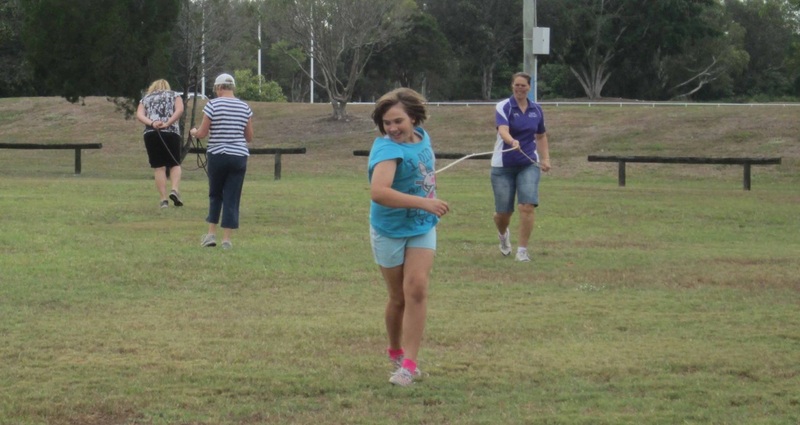 The club hosted a Beginners' Workshop at Pine Rivers and ten very enthusiastic handlers and their dogs attended. Participants eagerly watch on as they wait for their turn to track. Already harnessed, these dogs were very relaxed as they waited to show that tracking, for them, was just like 'reading the newspaper'. 'Dog for a Day' is a game played at workshops to teach lead handling skills. It's lots of fun, especially when there are some naughty 'dogs'. Coral explaining how the game works. Our youngest participant, aged 9, and her dad who played the role of 'the dog'.